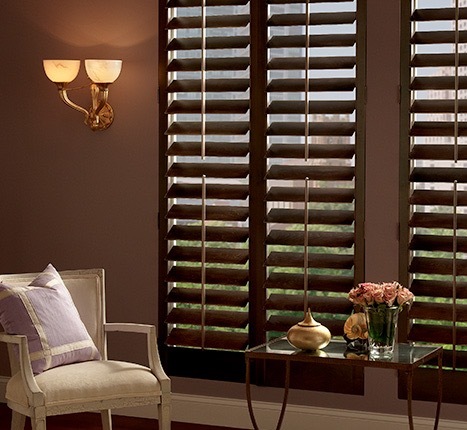 Shutters| Composite Shutters, Wood Shutters, windiw treatment, greater Nashville Nashville, Mt. 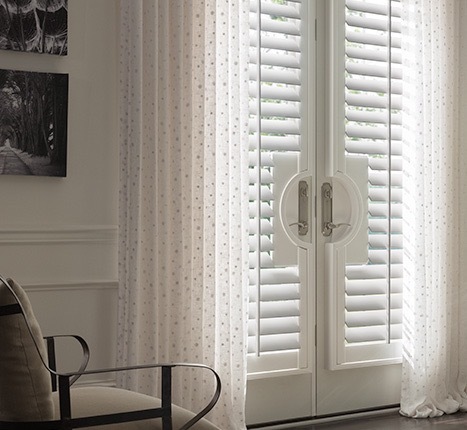 Juliet| Morgan Drapery & Upholstery Tn. .
Composite Shutters bring the classic, refined look of shutters to rooms that require a particularly durable solution. Designed to not warp, fade, crack, or peel, these shutters are built to withstand the rigors of a busy household. Perfect for high-humidity areas, they are ideal in kitchens, laundry rooms, and bathrooms. Whether your home décor is traditional, contemporary, or eclectic, Traditions® Wood Shutters can add warmth and beauty to your living spaces. Made from exceptional North American hardwoods, these shutters are an investment in style and quality. In our time-honored tradition, the wood for these shutters is sourced from responsibly managed forests. Each piece of hardwood is individually inspected for quality. A three-step drying process prevents cracking and warping. Then all milling, sanding, painting, and staining is done by skilled technicians. Consistent with our commitment to a green future, sawdust and wood shavings are recycled. The result is a look of unsurpassed elegance and natural splendor.